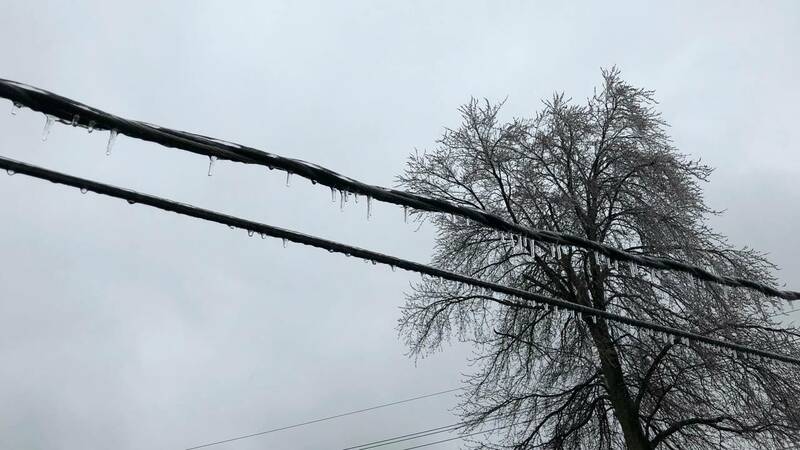 JACKSON, Mich. - Crews from Consumers Energy are working to restore power to about 20,000 Michigan homes and businesses affected by last week’s severe weather. Almost all customers should have power by the end of the day Sunday, with the final work expected to continue until midday Monday. Consumers Energy also is preparing for the possibility of severe weather that could move into Michigan as early as Tuesday, and is encouraging the public to take steps to be ready. “More than 2,700 people are involved in an effort to bring power back to the homes and businesses we serve in Michigan, and we are confident that most of our customers power will be restored by the end of the day Sunday,” said Guy Packard, Consumers Energy’s vice president of electric operations. On Sunday Michigan Gov. Gretchen Whitmer declared a state of emergency in Grand Rapids as residents in the city dealt with power outages. Crews have restored power to over 90 percent of 231,000 customers affected by severe weather that struck Michigan last week. Consumers Energy crews are joined by workers from Michigan, Indiana, Kentucky, Illinois, Iowa, Louisiana, Missouri, Oklahoma and Tennessee. Over 2,700 people are engaged in the restoration effort, from lineworkers to call center representatives. • Be aware of downed electric lines. If you see a downed wire, stay at least 25 feet away. Report it by calling 911 and Consumers Energy at 800-477-5050. • Call 211 if you are looking for help connecting to temporary shelter or other resources that offer assistance in your community. 211 is a free statewide service. • Never use a generator in an attached garage, basement, enclosed patio or near any air intakes. Doing so could cause a generator to produce hazardous levels of carbon monoxide -- an odorless, colorless and deadly gas. • Be alert to utility crews working along roads. Drivers should slow down or stop and wait for oncoming traffic to clear so they safely can go past workers on roadsides. • Consumers Energy will trim or remove trees interfering with electric restoration activities. Once safe to do so, cleanup of debris from tree trimming or removal during a storm emergency is the responsibility of individual property owners. • In some cases, the mast that holds the electric service wires to a customer’s home or business may have been damaged or torn away. Crews will reconnect the wires to a home, but only a licensed electrician can repair or replace a mast or a cable.